Property Details: 3 BR, 2+ BA, Portofino Condo, 2,030+/- s.f. 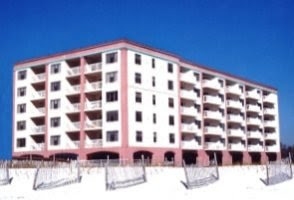 One of a kind condo at Portofino Resort in Pensacola Beach. This residence as been remodeled and fully upgraded. Some upgrades include: New tile flooring throughout, new plumbing fixtures in kitchen and bathrooms including new toilets, new concrete countertop in kitchen and new countertops in bathrooms, all new furniture and accessories, newly remodeled master closet with organized locking cabinets for owner, all new smart TV’s, repainted all walls, and new outdoor furniture. Portofino includes a European Spa and Lifestyle Center – Enjoy working out in the state of the art exercise facility with pool view over the Bay. Property Details: 3 BR, 3,5 BA Portofino Condo, 2,030+/- s.f.